For any Indian, making purchases in online stores has long been not something exotic. And if before people were preoccupied with some caution, trusting only certain online sellers, today the geography of purchases and sales has significantly expanded. However, the problem of fraud remains relevant. Therefore, when choosing, for example, an online store of home appliances, in order not to become a victim of an unscrupulous seller, we recommend the following methods of verification. Surface study of the online store. The first thing that requires close attention of the buyer is the official website of the online seller. Every self-respecting store creates the most convenient site for its customers, containing comprehensive information about the product, its manufacturer, its value, stock, ways and terms of delivery. Domain analysis. Home appliances brands in India that value their reputation buy top-level domains (ffff.ru or llll.com). Register such addresses providers and they always have a legitimate owner, to find which first labor does not amount. Scammers usually place their stores on a free hosting, and domain names broken by several points can identify them. Site registration date is also an important selection criterion, the earlier the domain was registered, the better. Customer Reviews. Even though the feedback on the Web is a somewhat subjective concept, it is still worth exploring. The abundance of laudatory comments should alert the buyer, it is unlikely that there were no shortcomings in the work of a large store, and disgruntled customers will always be found. To search for opinions from real people, it will not be superfluous to promote thematic blogs and forums. Feedback. 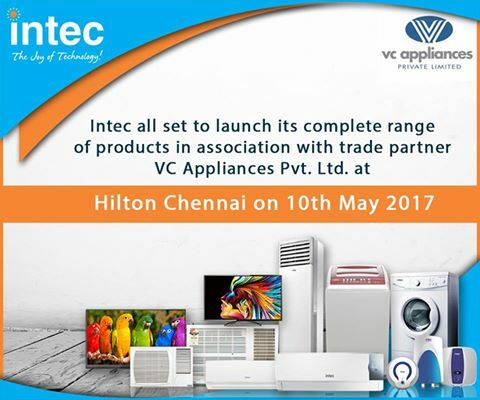 Before buying Intec home appliances, you should carefully study the tab with contact information. The more ways you communicate with the seller in it, the better. Also, most large retailers have accounts in social networks, which means that they are always ready to listen to the opinion of the public and they have nothing to hide from their customers. Also, it is a great way to notify potential buyers promptly about the ongoing promotions. Study of the documentation. Often, customers of online stores do not pay due attention to the rules and agreements prescribed on the seller’s website. And in vain. Careful study of the documentation will help to avoid unpleasant situations in the event of force majeure circumstances. Settlement operations. Work only on a prepayment can indicate the seller’s dishonesty. To hedge, it is better to choose online retailers working by wire transfer or with the possibility of paying for the goods upon receipt. And do not forget that the check and the warranty card – must be issued to the client’s hands, together with his purchase. Well, at last, I would like to give one more piece of advice. When purchasing in an online store, discuss in advance with the seller all the nuances of a possible return of the goods. This information will help you to exchange goods of inadequate quality or to return money for it.